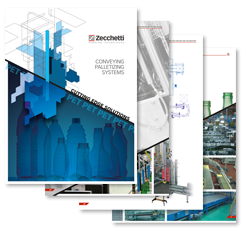 With almost 500 machines supplied in over 80 countries worldwide, Zecchetti is market leader in the palletization of empty PET & HDPE bottles. 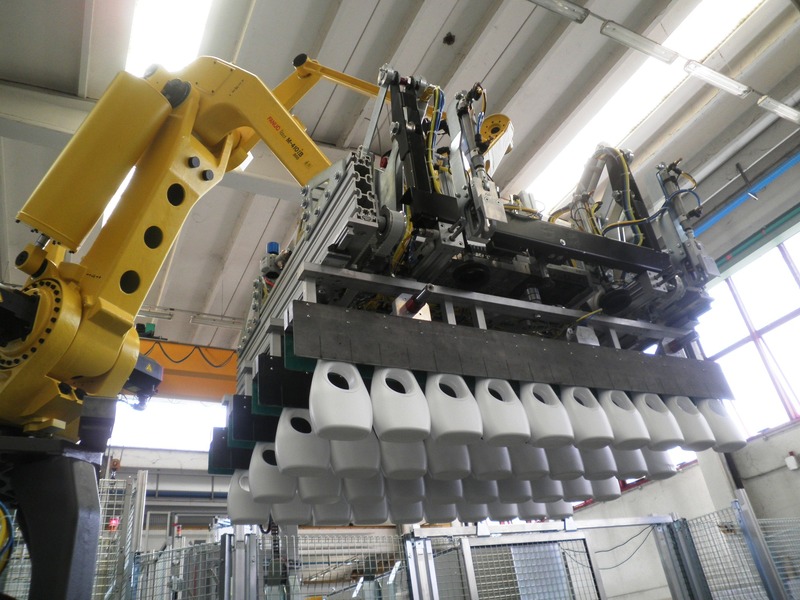 A product family designed to palletizer EMPTY PLASTIC BOTTLES, no matter what the shape is. 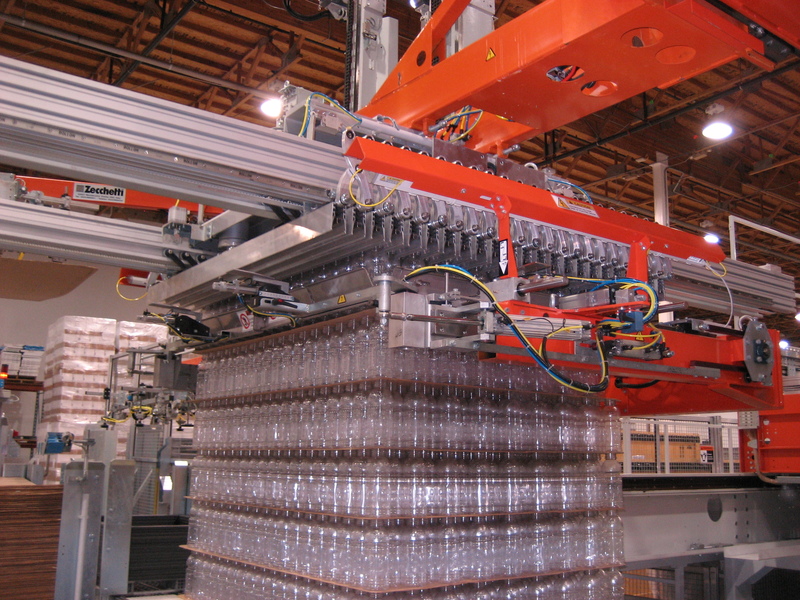 The R-PAL is the right machine to choose in case of bottles to handle on TTC conveyors, still needing to cope with a high speed (up to 4 layers/1’). 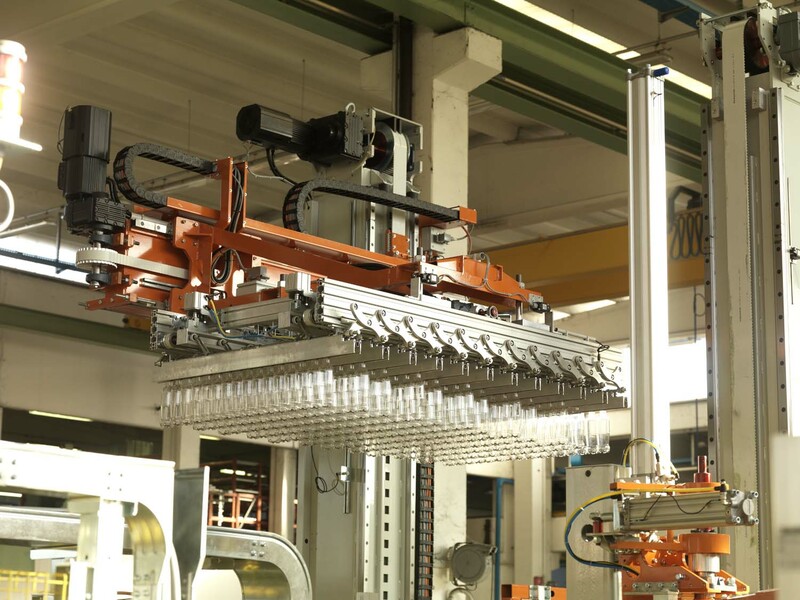 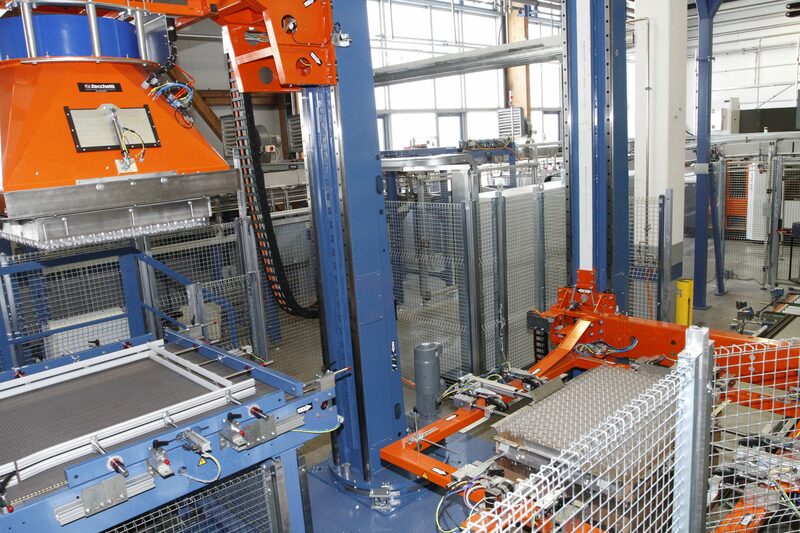 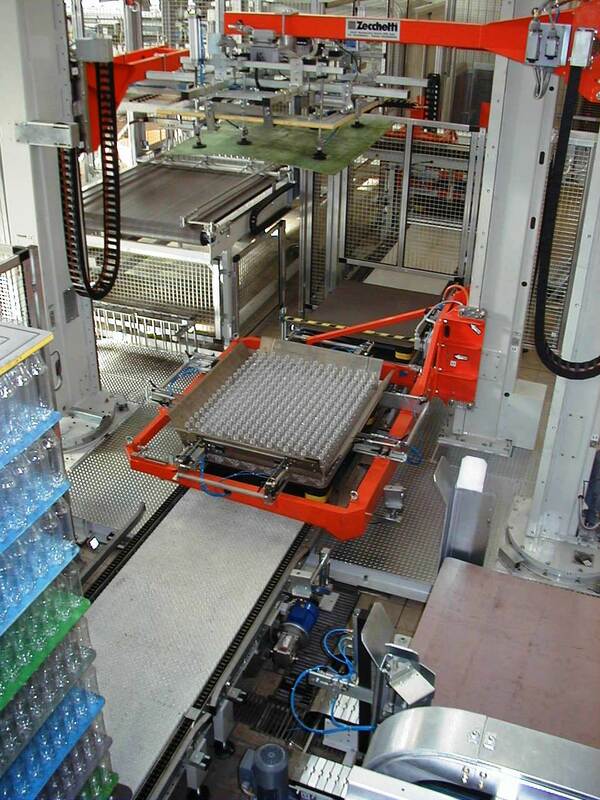 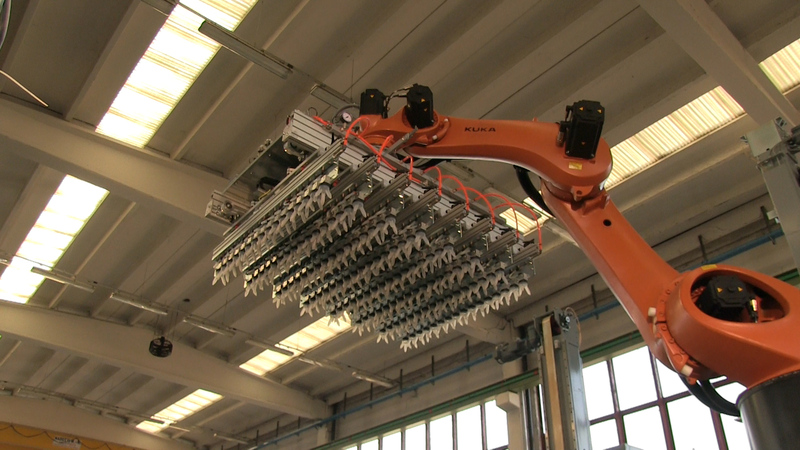 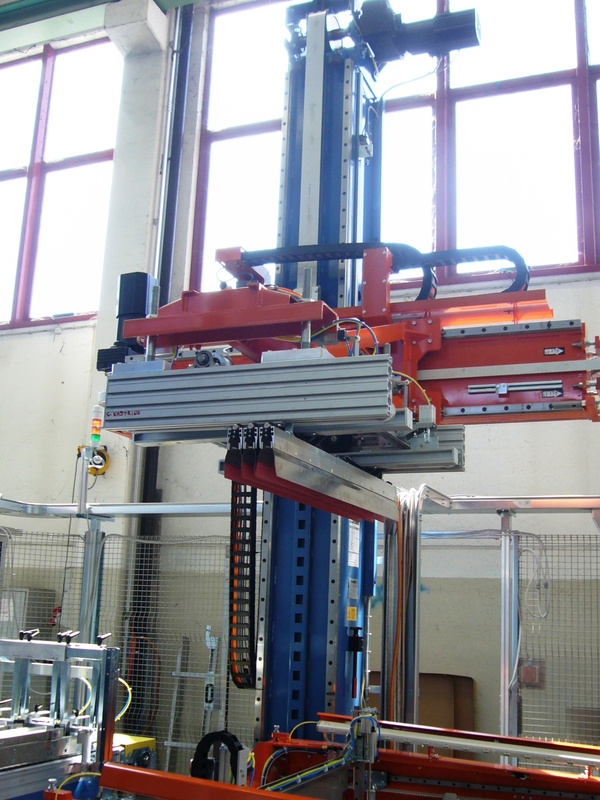 Customer can choose the adequate automation level of the basic palletizer of the initial investment, but having the possibility to upgrade the machine easily in the future. 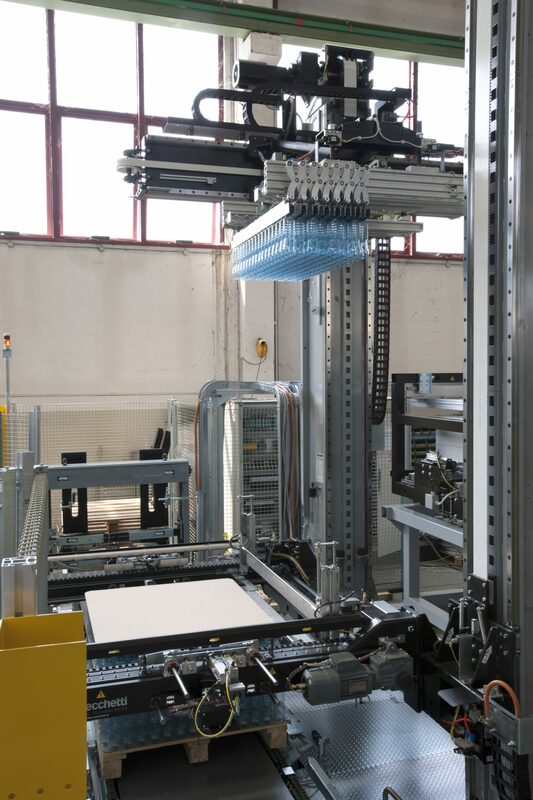 Working modes : row-by-row (no stacker / no formation table) or traditional by layers.